In its inimitable style of digging behind the news, SecretReporters can authoritatively confirm that it is in possession of the documents which include bank accounts, bank names, and dates of transactions that will indict a Chief Judge of Nigeria, Mr Justice Walter S. Nkanu Onnoghen, who may be smiling to jail if the evidence turns out true. SecretReporters has obtained documents that the CJN did not only fail to declare his assets before the Code of Conduct Bureau (CCB) but has also allegedly engaged in official corruption which is a breach of the Code of Conduct Bureau and Tribunal Act. 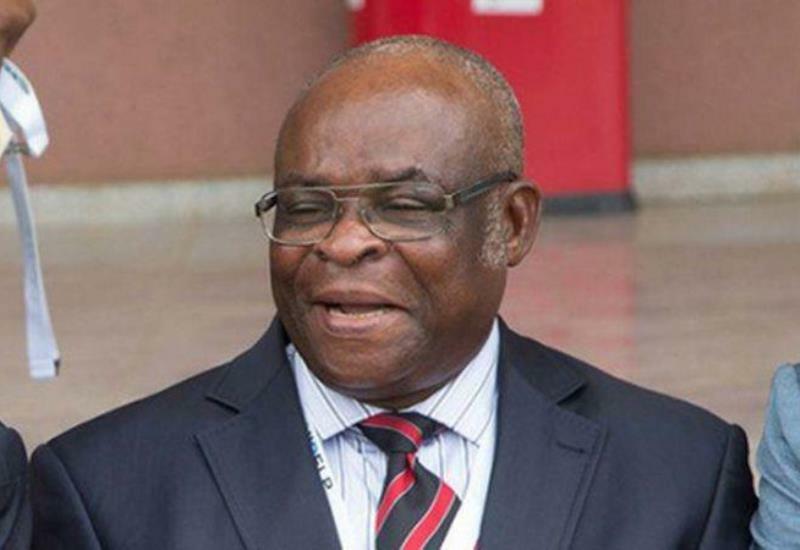 On March 8th 2011, Justice Onnoghen made five different cash deposits of $10,000 into Standard Chartered Bank Account 1062650. On 7th June 2011, two separate cash deposits of $5000 were made, followed by four cash deposits of $10,000. He’s also accused of not declaring his assets immediately after taking office, which is a constitutional requirement for all public servants every four years during their career. In his CCB Forms (Form 1), he filed the one for 2015 and 2014 on the same day. The acknowledgement slip for Declarant SCN: 000014 was issued on December 14th 2016. The acknowledgement slip for Declarant SCN: 000015 was also issued on December 14th 2016 when he was already the Chief Justice of Nigeria, both forms were received by one Awwal Usman Yakasai. Union Bank account number 0021464934 in Abuja with a balance of N9,536,407 as at November 14th 2014. Union Bank account number 0012783291 domiciled in Calabar with a balance of N11,456,311 as at November 14th 2014. All these were declared as proceeds of salaries, estacodes and allowances. Standard Chartered account 00001062667 with a balance of N3,221,807.05 as at November 14th 2016. Standard Chartered account 00001062650 with a balance of $164,804.82 as at November 14th 2016. Standard Chartered account 5001062686 with a balance of Euros 55,154.56 as at November 14th 2016. Standard Chartered Bank account 5001062679 with a balance of GBP 108,352.2 as at November 14th 2016. Standard Chartered Bank account 5001062693 with a balance of N8,131,195.27 as at November 14th 2016. Union Bank account 00021464934 with a balance of N23,261,568,89 as of November 14th 2016. Union Bank account 0012783291 with a balance of N14,695,029.12 as at November 14th 2016. The foreign currency Standard Chartered Bank account declared in 2015 has been in existence since 2011. Prior to 2015, he was accused of concealing the existence of these multiple domiciliary accounts owned by him as well as the huge amount in them. Firstly, the Standard Chartered Bank dollar account 1062650 had a balance of $391,401.28 on 31st January 2011. The Standard Chartered account 5001062686 has Euro 49,971.71 on 31st January 2011. While the Standard Chartered Bank Pound Sterling account 5001062679 had a balance of GBP 23,409.66 on 28th February 2011. Curiously enough, these three domiciliary accounts were not declared by the CJN in his CCB forms filed on the same December 14th 2016 with some of the Naira bank accounts also omitted in his SCN: 000014. The CCT released a statement that the trial would take place at the Federal High Court in Abuja. The six-count charge listed offences against the judge as follows: “failure to declare and submit a written declaration of all your assets and liabilities within the prescribed period of three (3) months after being sworn in as the justice of the Supreme Court of Nigeria on the 8th day of June 2005 and you hereby contravened the provisions of section 15(1) of the Code of Conduct Bureau and Tribunal Act Cap c15 LFN 2004 and punishable under section 23(2) a, b and c of the same Act”.